The immediate success of the Grateful Dead’s first studio album in seven years, In The Dark, changed many things for the band, primarily the size of their already huge fan base. 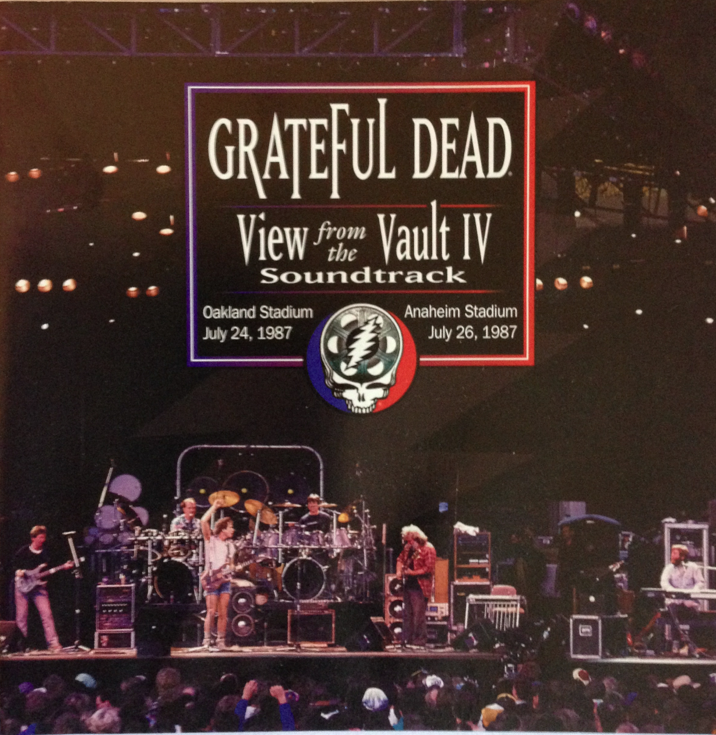 Starting in 1987, the Grateful Dead would find themselves, by sheer demand for tickets, playing larger and larger venues, prominent amongst them the dreaded stadiums. How would a band that started playing in tiny halls, followed by larger theatres and hockey arenas, adjust to playing before 50,000 people regularly in an outdoor stadium? These two concerts, from July 24 and 26, 1987, demonstrated that not only would they make the adjustment without skipping a beat, they would actually thrive off this massive energy boost from these huge crowds. Despite playing before some of the consistently largest crowds of their career, the subtleties and nuances of the band members’ interactions are not lost at these stadium gigs; in fact, this sensitive interplay would prove to excel. The dynamic, more introspective songs found in these two complete concerts, such as “Dear Mr. Fantasy,” “Looks Like Rain,” and “Stella Blue,” are performed with the same care and tenderness that one would expect to hear at the Warfield, the Frost or the Greek, cherished venues that inspire intimacy in the playing. Consequently, the massive venues from which this collection is drawn, the Oakland and Anaheim Stadiums, would be expected to inspire the opposite. Close your eyes, however, and listen to the care with which these “quieter” songs are rafted. You will immediately realize that venue size does not matter; rather, when the Grateful Dead were on, they were untouchable as a live band. You will once again realize that the Grateful Dead weren’t the best at what they did, they were the only ones that did what they did. Additionally, the band treated these large crowds to some monster versions of some of their best-loved epics. From Oakland’s astonishingly brisk take of “Playing In the Band,” to the masterful versions of “Uncle John’s Band” and “Sugar Magnolia,” the Grateful Dead would end one of the most important tours in their history in Anaheim two nights later by including stellar versions of “Shakedown Street,” “Terrapin Station” and an all-out rocking workout on the “Throwing Stones” > “Not Fade Away” pairing. Despite expectations, these two complete shows prove that the necessity to play stadiums would not hinder the quality of the music. The Grateful Dead not only made the best of a new situation, they proved that their special music could be suitably shared with 50,000 of their closest friends. The is the soundtrack to View From the Vault IV.